New Delhi signs $5bn deal to buy one of the most advanced missile defence systems amid looming threat of US sanctions. New Delhi, India – India-Russia ties have received a boost with a $5bn deal that will see New Delhi buy an S-400 air defence system from Moscow despite looming threat of US sanctions. The deal to buy the long-range surface-to-air missile systems was signed between Russian and Indian officials during Russian President Vladimir Putin’s visit to New Delhi for an annual summit with Indian Prime Minister Narendra Modi. India and Russian signed eight agreements during Putin’s two-day trip to New Delhi. 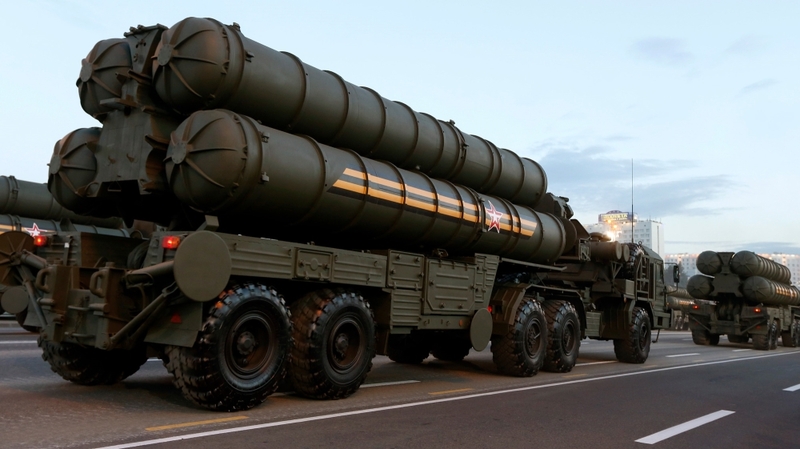 The S-400 systems’ deliveries to India will begin in the next two years. But Russia still remains India’s biggest military equipment supplier, accounting for 62 percent of India’s total weapons imports during the past five years, according to the Stockholm Peace Research Institute. “This would reinforce the continued strength of a Russia-India partnership even amid a growing US-India relationship,” said Michael Kugelman from the Wilson Centre in Washington, DC. Security analysts in Asia said the US’ threat of sanctions is being seen as bullying and would not really deter deals like the one India just inked with Russia. “The thing to note is that sanctions will only come into place when India makes payments for these weapons, which is not likely to happen till much after the deal is signed,” said Pramit Pal Chaudhuri, foreign affairs editor at Hindustan Times. India’s relations with the US have also been hit by trade frictions, with New Delhi seeking an exemption from higher tariffs on steel and aluminium imports announced by the Trump administration. On Thursday, Reuters news agency quoted shipping data tracker Kpler to point to a cutdown on US crude oil purchases, adding that Indian firms were loading up on Iranian oil ahead of the restart of US sanctions next month. Both India and Russia continue to trade with Iran despite the threat of sanctions although, since June, Indian refiners have steadily cut purchases of Iranian crude. Trade volume between India and Russia in 2017 crossed $9bn and Putin announced that the two countries would set an ambitious target of $30bn by 2025.